ENVEO used Sentinel-1 data of 3 and 15 January 2015 to generate ice stream maps on outlet glaciers of the west coast of Greenland (http://www.esa.int/spaceinimages/Images/2015/03/Greenland_ice_streams). This product and further results derived from Sentinel-1A data were presented at the Fringe 2015 Workshop (23 - 27 March 2015) at ESA-ESRIN, Frascati, Italy. An article about the success story of products and services developed within the CryoLand project (2011 - 2015) under the lead of ENVEO has been published on the website of the Horizon 2020 programme of the European Commission (EC). Link to article. Within the frame of the SnowPEX project the 1st International Satellite Snow Product Intercomparison Workshop (ISSPI) will take place from 21 - 23 July 2014 at NOAA Center for Weather & Climate Prediction (NCWCP), 5830 University Research Court, College Park, Maryland, USA. ENVEO is organizer and chair of the scientific committee of the 1st ISSPI Workshop. CoReH2O was just presented at the User Consultation Meeting for the Earth Explorer-7 mission, organized by the European Space Agency (ESA), as one of three selected mission. A recent article published on 05 March 2013 in Nature pointed out how difficult the final selection is. Follow this link for more details. 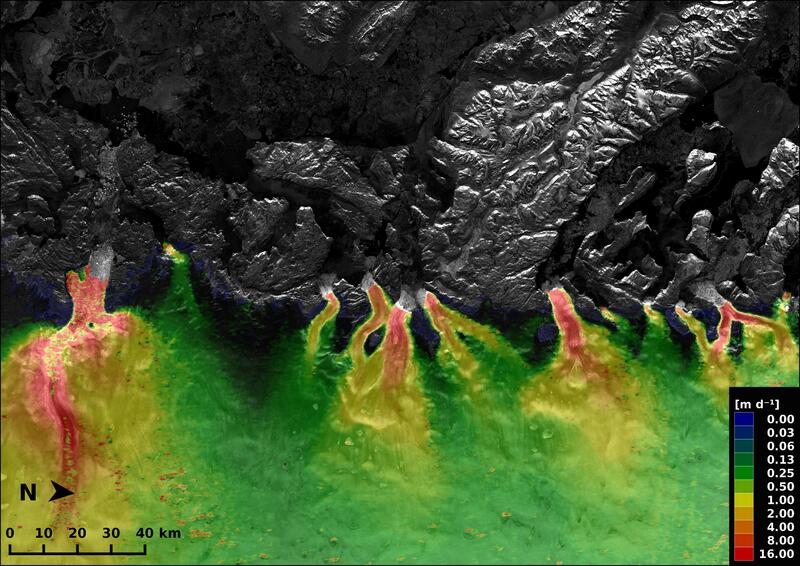 As contribution to the ESA project Icesheets CCI ENVEO mapped the calving front of the Sermeq Avannarleq glacier in West Greenland from multiple SAR images acquired in the period 1992 - 2010. The resulting video (http://www.youtube.com/watch?v=MSCJlh0wwq0) shows the evolution of the Sermeq Avannarleq glacier, and illustrates in particular the retreat of the glacier tongue in this period.